Today, we see that all spectrums of the market are incorporating experiential marketing techniques. Through methods in which companies develop new products, customer relationships and within the design of the retail stores. The business to consumer interaction is constantly transforming. It’s essential that marketers move away from the traditional “features-and-benefits” and towards creating resonating experiences for their customers. Sheffield Hallam University in UK has introduced the very first Experiential Marketing course as part of their International Events Management program. We took inspiration from the newly launched program to create our very own list of the top five things that we believe should be taught at the course. The industry is full of buzz words, but these are the two that have stayed the distance – although both want to engage with consumers, there is a big difference. When I think experiential, I immediately think bigger budget, maximizing engagement and more legitimate. 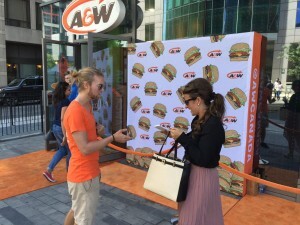 Guerrilla marketing is great for straight forward sampling or low maintenance and mobile programs. However, guerrilla doesn’t allow any set-up or exposure. To really capture an audience, marketers need to keep their attention for 3-5 minutes or more. Booths, Live Contesting, Interactive Games in a stable permitted environment costs more, but it offers greater exposure. Understanding the process to obtain permits and different bylaws is something that the course should dig deep into. Likewise, all the different vendors and pieces an account manager needs to manage when implementing a program. This requires staffing, signage, vehicles, storage, insurance, accommodation, photographers, etc. the list goes on. One of the biggest developments in marketing in the last 10 years thanks to technology is the ability to monitor return on investment. Online promo codes for sales material distributed, selling product onsite thanks to services like Square, iPads enabling on the spot lead generation and so on. The old adage of ‘I waste half of my marketing budget, I just don’t know what half’ is a thing of the past. Students at the new course should be learning about the importance of key performance indicators and how best to achieve these results. Work Experience… from the bottom up. 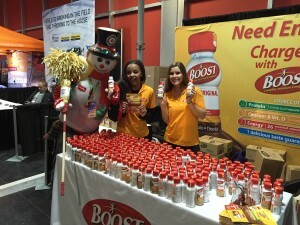 Obtaining work experience as a brand ambassador is vital in this field. Lots of people no doubt will think the degree lets them bypass this, however industry experience in the field will likely be just as beneficial as the degree itself for a long successful career. Personally, I wouldn’t hire someone in a full time position that hasn’t worked in the field. Understanding the challenges, importance of engagement, timelines of activations and varying sizes of activations first hand will be priceless for any new graduate. I would be interested to see if there is a work experience component to the degree. I would be disappointed if it was all required work experience from an office and not as a brand ambassador in the field. Not our forte, but something we are actively working on, and thus I think important to note. Good experiential programs always have social components. It is normal for Fervent to be part of large programs where we are the experiential agency and then there is a separate social agency further leveraging the content. Experiential marketers need to become savvier with the social, and offer social add-ons to clients. It’s something we have started to do recently through the simple form of contesting of client product or gift cards. The quicker experiential companies can enhance a program through social, the sooner they will be even more valuable.